It’s Monday and I am actually writing a blog post, kudos to me! 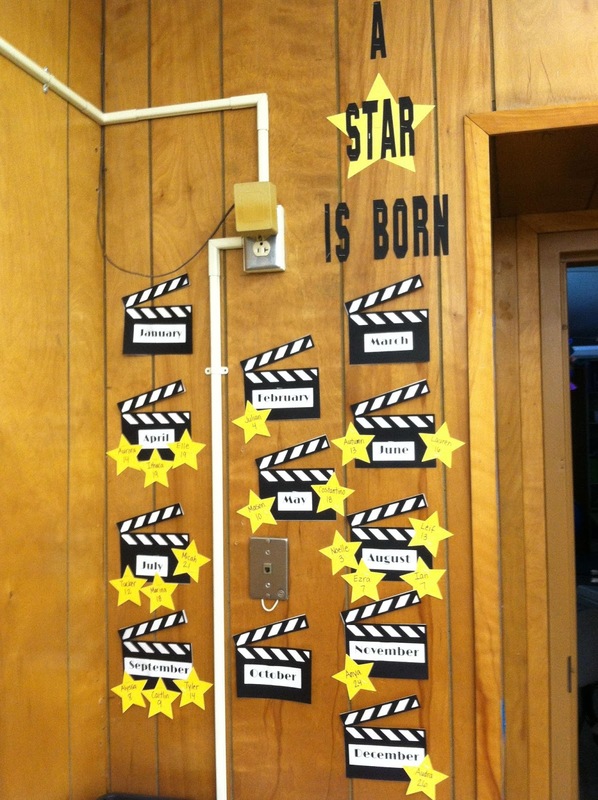 Today I thought I would show your some of the fun Hollywood theme items I have going in my class. 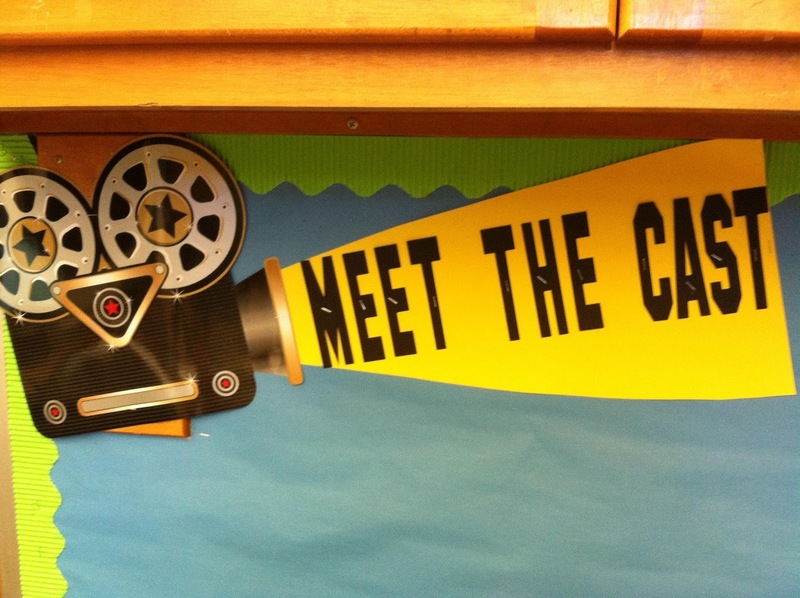 Our school has a school-wide theme each year. 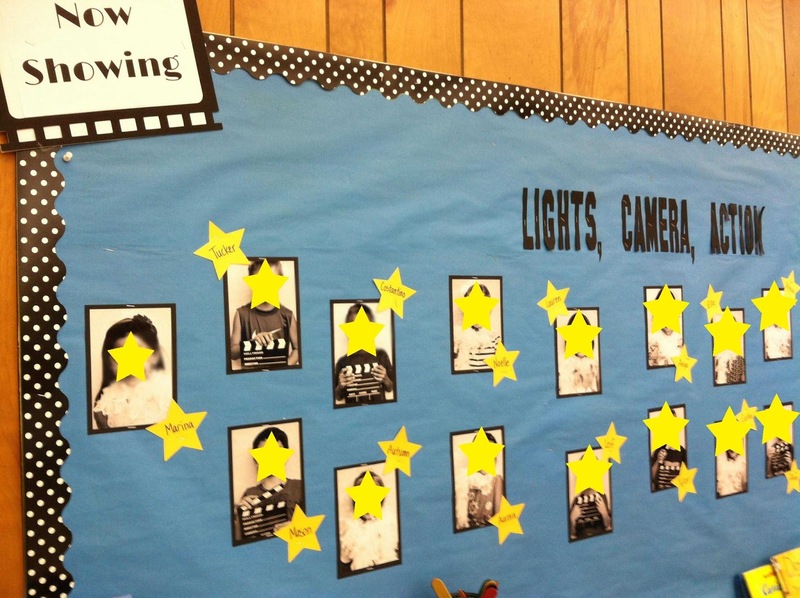 From this school-wide theme, each grade level puts their own spin on it to fit their grade. 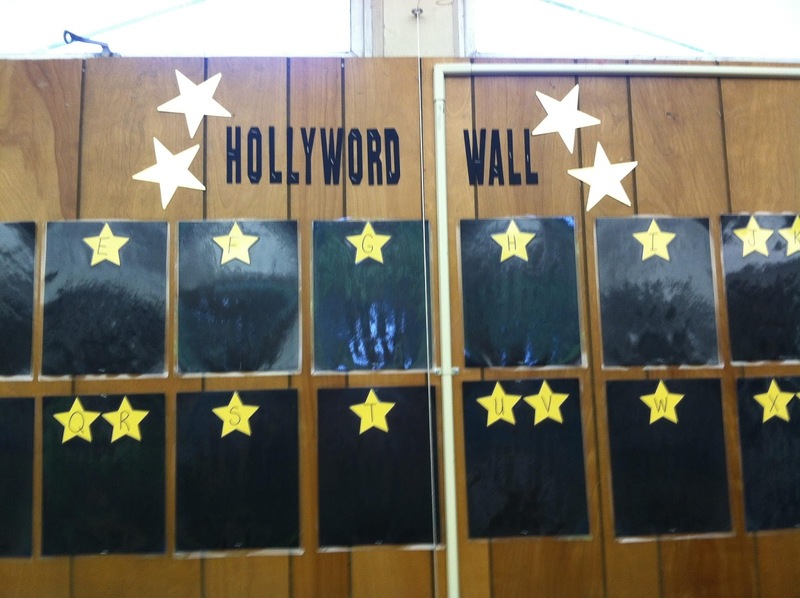 In first grade, we chose the Hollywood theme. 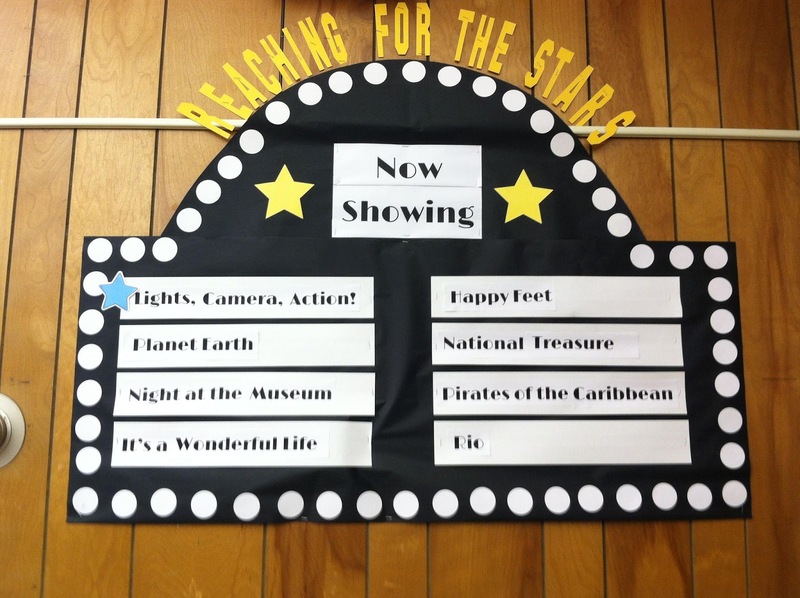 We want to teach the students to reach for the stars, meaning their fullest potential. Here is my theme board. 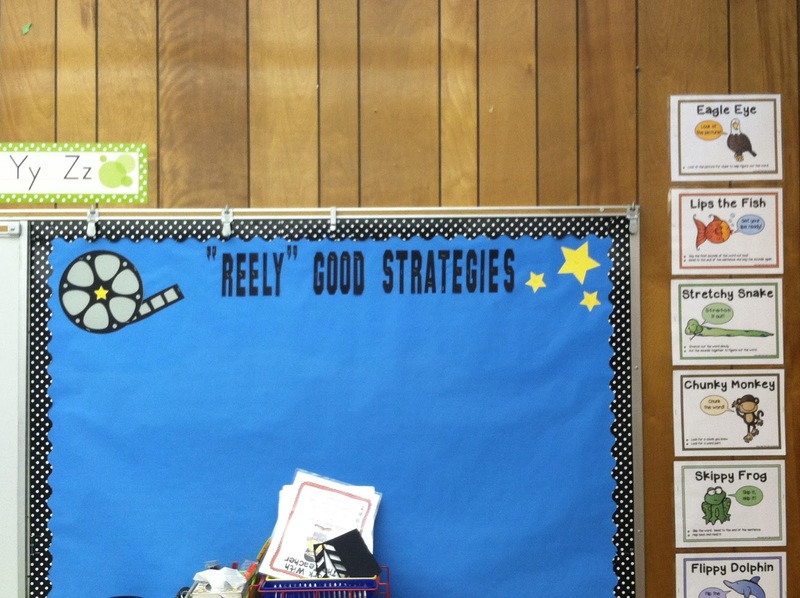 Once again, you have to ignore the wood paneling and the electrical throughout the classroom. This picture wall is so stinkin’ cute in real life. I wish you could see their faces, I just love my class. This is my component board and will change with each unit. Eventually their cute pictures will move to my “meet the cast” area. This is a a small skinny wall above a counter in the class. I didn’t take pictures of my library area yet, because that is a work in progress. It will happen, no worries. Until then, have a fabulous week! Where did you get the cut outs used on the birthday wall?? ?